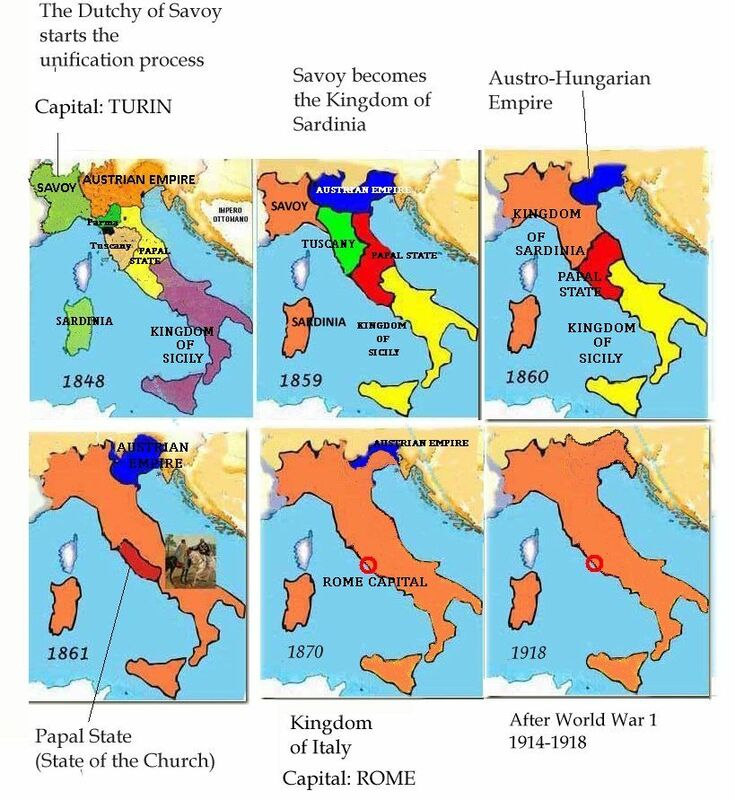 Italy was formed by many different countries before 1848. After 1815 when Napoleon was definitely defeated at Waterloo, Italy started the process of unification or becoming one country. From 1820, nationalism spread all over Europe. So the smaller countries with similar culture, language, or ethnicity wanted to join together. Risurgiento is how Italians called their movement for independence. The movement began in 1848, when there were many revolts once Metternich lost his position as Austrian Chancellor. The movement for independence succeeded in 1859 as a result of the efforts of Count Cavour from Piamonte and Giuseppe Garibaldi who united the south of the country. Victor Emmanuel of Piedmont- Sardinia had the idea of a unified Italy. He wanted his country to be the model for the unification of Italy. So he started public works and political reforms which gave Piedmont – Sardinia the recognition of being an emerging country. The next goal was to get Austrians out of Italy. So after the Crimean War, Piedmont attended the peace conference and allied with France ruled by Napoleon III. In 1858, Piedmont- Sardinia and France decided to attack Austria. One year later, Piedmont attacked Sardinia starting a war to distract Austrians while France jointly with Piedmont-Sardinia drove Austrians away from Lombardy after the battles of Magenta and Solferino. At this point, France dropped out of the war, so this ended the war, with Austria keeping Venetia. 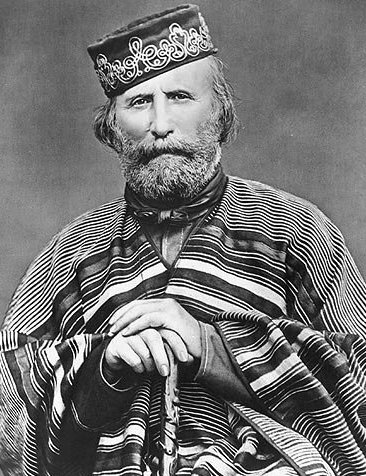 On the other hand, Garibaldi conquered the Kingdom of the Two Sicilies in the south of the country leading an army known as the “Expedition of the Thousand”. 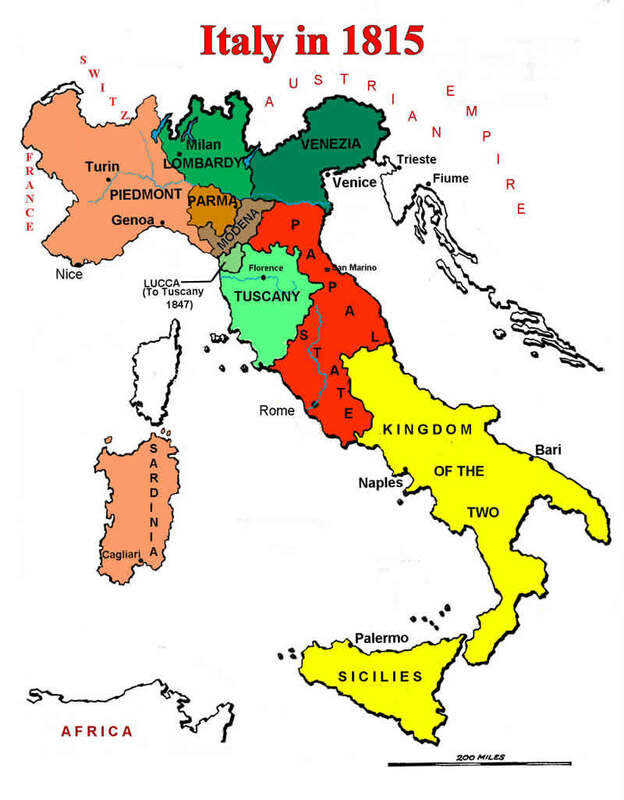 The Kingdom of Italy was founded in 1861 and had the form of a constitutional monarchy ruled with liberal ideas and supporting censitary suffrage in elections. Annexation of Venice in 1866. Conquest of Papal States in 1870.